Replacing “First Look,” an early edition of “News Now” will start off the day at 5 a.m. with a roundup of the top news stories. 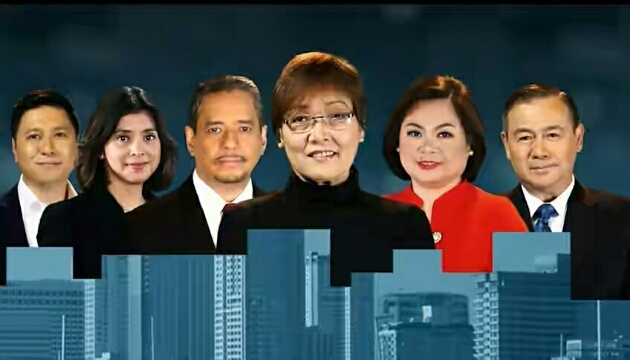 The two-and-a-half-hour “Mornings@ANC” will immediately follow at 5:30 a.m. with a new set of hosts delivering its unique mix of news, human interest and lifestyle stories. 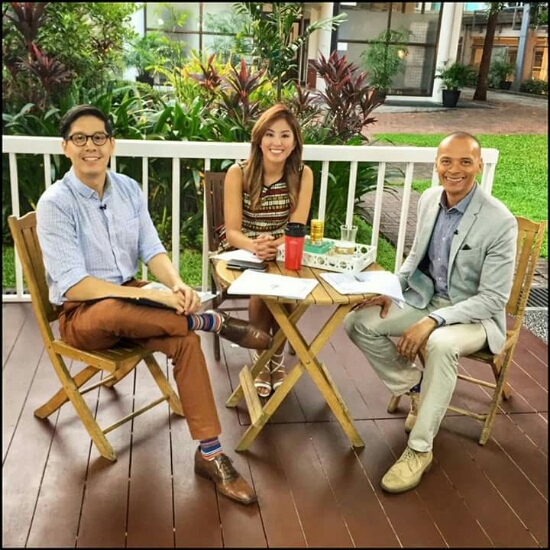 Long-time ANC host David Celdran returns to daily news anchoring to top-bill the new “Mornings@ANC” anchor team together with Ginger Conejero. 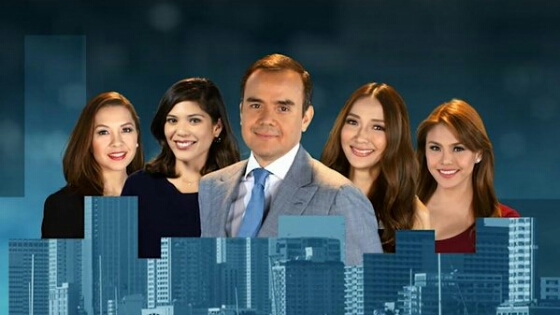 David and Ginger will deliver the headlines and perspectives on current events from ANC’s new studio in Makati. David will be interviewing business leaders and handling discussions on business, economic and political issues. Previous hosts Gigi Grande and Paolo Abrera will also carry on in Quezon City. 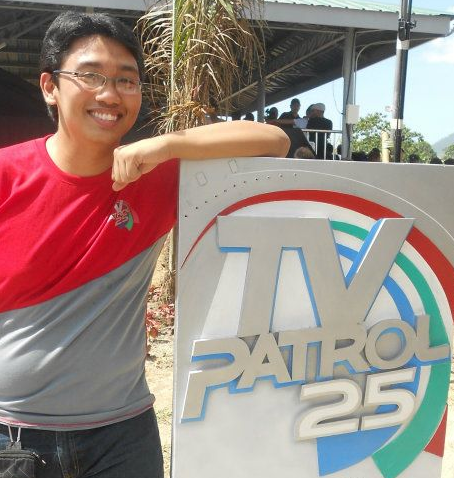 Gigi will provide viewers relevant stories from the metro, the Southeast Asian region and the world, while Paolo will take a look at the day’s weather and update motorists on Metro Manila traffic. The “Mornings@ANC” team now adds sports star and host Gretchen Ho and “On The Money” anchor Edric Mendoza, who will be the go-to anchors for entertainment, sports, technology, lifestyle, travel and leisure, arts, culture and fashion. More news and in-depth interviews follow “Mornings@ANC” with “Headstart with Karen Davila” in its same time slot from 8 to 9 a.m. The morning edition of “Market Edge” with Cathy Yap-Yang will begin right after “Headstart” to start off the trading day with real-time updates from the Philippine Stock Exchange and other regional markets. The award-winning anchor will continue to provide insight on the leading financial and economic news plus engage newsmakers in exclusive interviews. Veteran journalist Nancy Irlanda will then anchor the 10 a.m. edition of “News Now” for updates on national and foreign events, business, sports, weather and social media. Completing the morning grid is the earlier airing of the daily financial advise show “On The Money” at 10:30 a.m.
Gretchen Ho will also headline her own show on weekday evenings. “The Daily Serve” at 6:30 p.m. will serve the day’s major sports stories, health and fitness-related tips, and throwbacks to the greatest moments in sports. Meanwhile, the renewed, united look will also benefit other current ANC shows like “Top Story”, “The Bureau” and “@ancalerts”, as well as ANC stalwarts “Dateline Philippines” and “The World Tonight”. The new lineup and channel relaunch come just before ANC marks its 20th year of operation in 2016 as the country’s first and leading round-the-clock cable and online news source. It last underwent a design rebrand in September 2010, where the rhombus design was reinforced as an identifier for the channel. ANC began in 1996 as the Sarimanok News Network and has since grown from an alternative news service for business and regional news to the Philippines’ standard for breaking and wall-to-wall coverage. The rebrand also comes as more and more television news sources are opening to Filipinos. In 2014, Channel 9 brought the CNN brand to the Philippines as a free-TV answer to ANC. Early this October, Cignal satellite television and News 5 launched Bloomberg TV Philippines as a subscriber-only business news service. ANC, at the same time, has been expanding its audience to the international market. This year it began subtitling its Filipino-language content, such as news soundbites and replays of ABS-CBN current affairs programs. The channel, which has long been part of The Filipino Channel bundle overseas, is now also available in direct-to-home services even without TFC. Its shows can also be viewed online in the Philippines through iWanTV and Sky On Demand, and abroad through TFC.tv. With the relaunch, ANC gears up for its coverage of the country and the region’s biggest events in the coming months, such as the Asia-Pacific Economic Cooperation Summit in Manila in November 2015 and the Philippine general elections in May 2016.